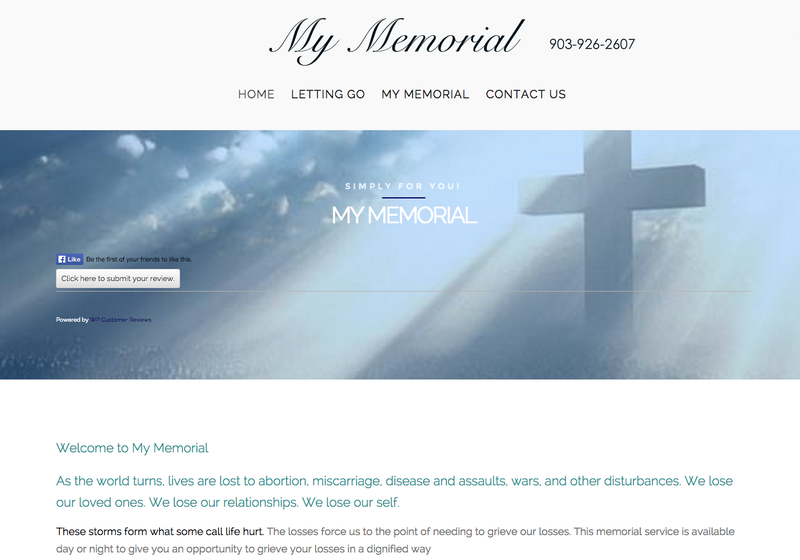 MyMemorial.org is an online memorial service for use by individuals wanting to grieve their loses. It can be used as a standalone memorial service for anyone with a loss. However, it is ideally designed to be used with either the person taking the online version of recovery, MyHealingChoice.com, or using the FREE ME TO LIVE Workbook. MyMemorial.org just received a new facelift transforming the older web look into a modern Flatscreen endless-scrolling theme. Already, we are getting positive reviews from abortion recovery leaders in Oklahoma and Ohio as well as from a few center’s in Canada. The MyMemorial.org site makeover was created by WP-SiteMakers.com and is hosted on Hosting-Master.com a high speed WordPress hosting provider. It features a full width format with endless scrolling pages. The sections help define the area of the memorial service they are in at the time.